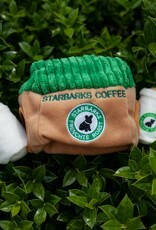 Your dog will love playing with this new interactive Starbarks Coffee House. 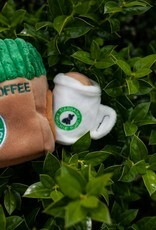 Each Starbarks Coffee House toy includes two mini coffee cup toys inside. 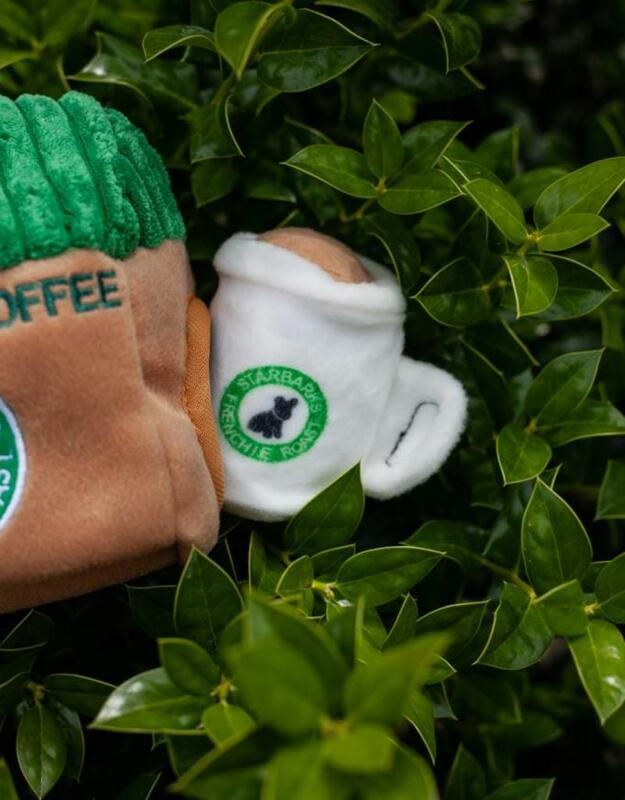 Mini coffee cup toys crackle and squeak for hours of fun! 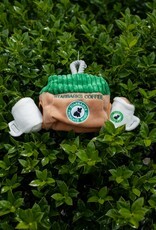 Let your dog sniff out the mini toys inside and try to figure out how to get them out. Repeat for hours of fun. 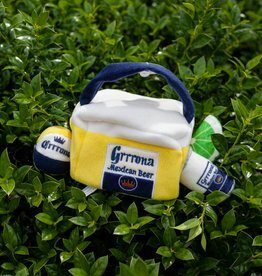 Made of soft plush material with rope handle. 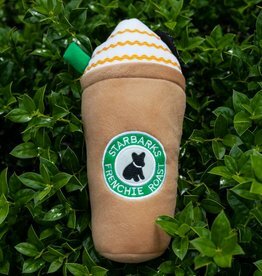 Your dog will love this soft plush toy with a squeaker inside. 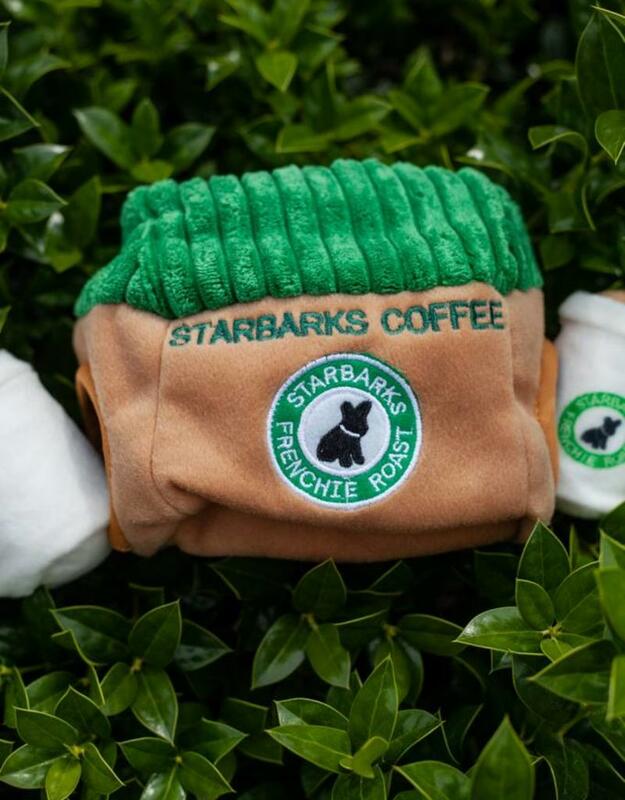 Every Pampered Pup should have one of these cute fun toys. 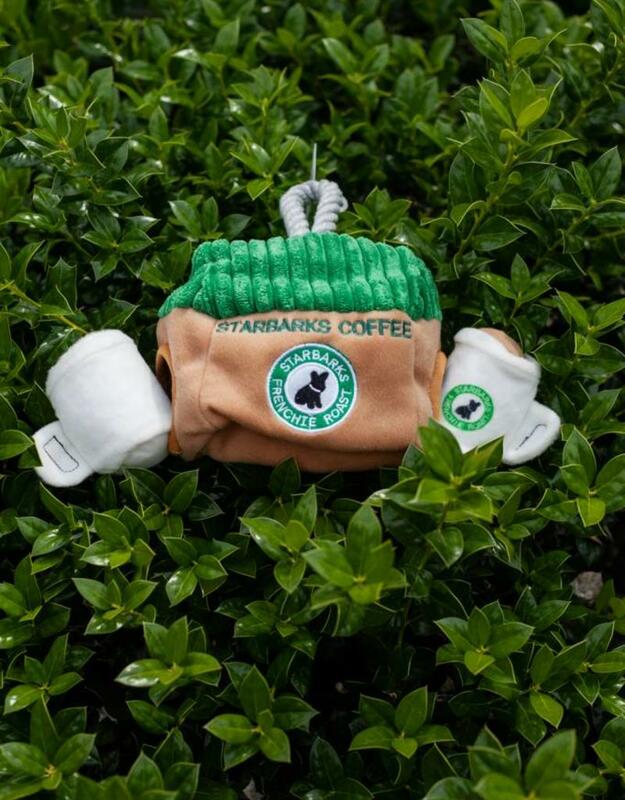 Starbarks dog toy makes a great gift too!